Lambadi Youth Association was started in 2012 Founded by Ramawat Shashikanth Naik to make aware the Lambadi (Gore) People About their Basic rights and how to behave in this society, with the help of a Group of young Students and his Team in Andhra Pradesh. Mother teresa was the First role model for Us to Start this Lambadi Youth Association not only to help but also to help the Poor and needy Lambadi People. Dr.Janu Garu (Janu Docter) is also one of the role model for Us and his is also one who gave us inition to start this Lambadi Youth Association, Dr.janu was remained unmarried to help the poor People who are around him. he served many poor patents free of cost, he though the education is the main importance for the People so he donate a CASH 5,00,000 Rupees for the Government Schools and also he started a charity to help poor and needy. Mr.Ramawat Chandu Naik Garu, He Is the One who gave Us Initiation to start this Association, He Was Elected as Zptc Of Madugul Mandal Of mahabubnagar district, Ap. he helped many poor lambadi & other people by Constructing Roads, Drainages, Schools, Houses and many more for the poor and needy. Thanks to Dr.Janu Garu (Madugul), Mr.PapaRao Garu (Chairman Arjun College of Technology & Sciences),My Association Members, My Friends and My Family for helping me in Running the Association and website. Special Thanks to Dr.Janu Garu and Ramawat Chandu naik Garu(Ex-Zptc,Madugul,Mbnr) for encouraging me. Address 1 - Hyderabad,Saroornagar,Karmanghat, Near DPS school. Address 2 - Mahabubnagar,Madugula(Mandal), Appareddypally(Village),BaluNaik Tanda. Andhra Pradesh occupies an eminent place in the classical dance forms of India. 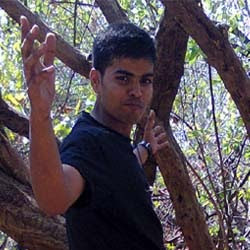 Apart from the classical dances, it is also known for its tribal dances. Some of the popular tribal folk dances of Andhra Pradesh are Bathakamma, Gobbi, Mathuri, Dhamal, Dandaria, Dappu, Vadhyam etc. Lambadi dance is a tribal dance of Andhra Pradesh. Lambadi is related to the Lambadi tribe, who lead a semi-nomadic life in Andhra Pradesh. The Lambadi tribe lives all over the state. They are popularly known as Banjaras or Sugalis. The dancers perform this dance to rejoice an abundant harvest or a good sowing season. They dress themselves in brass anklets, bangles, embellished jewelry and glass beads. The day to day tasks of a farmer, like reaping, harvesting, planting, sowing etc. are represented in the Lambadi Dance. During the festivals like Dussehra, Deepavali and Holi these tribal people move from one house to another dancing and receiving alms. 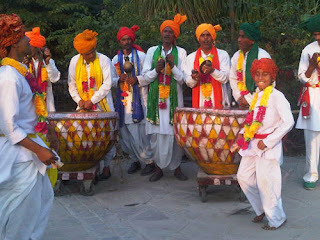 The Lambadi dancers dress up in gaudy dresses by wearing long colorful skirts decorated with mirrors and white broad bone bracelets covering their arms. An interesting fact about the dance form is that it is monopolized by women. It is permeated with fervent grace and lyricism. The subtle sensuality of the dancers make it more appealing. The rhythm and the coordination among the dancers is worth mentioning. Sant Shree Sevalal Maharaj was born on 15.02.1739, on this Holy Land, to parents Shree Bhima Nayak and Dharmini Yaadi (Mother). At this time this location was popularly known as Ramagundam or Ramji Nayak Tanda (Ramji Nayak is Grand-father of SevaBhaya Ji, who came to this location with 360 families of his Tanda and about 4000 loaded cattles).Ramji Nayak Tanda when deserted, by end of 18th century the local population built a village known as Chennarayani Palle. This land now falls in the revenue village of Peddadoddi, Taluk/Mandal: Gooty, District Anantapur (A.P.). Sevabhaya lived with his parents, at this place, upto the age of 12. He bathed in KALO KUNDO (transparent clean water of natural spring water pond), Worshipped in Chanakeshva (Shiva) Temple on the top of Chandrayana Gutta (Hill), near Ramji Nayak Tanda grazed his cattles in ZOOMRI/ZHANDA JHOL (forest of Palms). All these relics and monuments are existing even today. 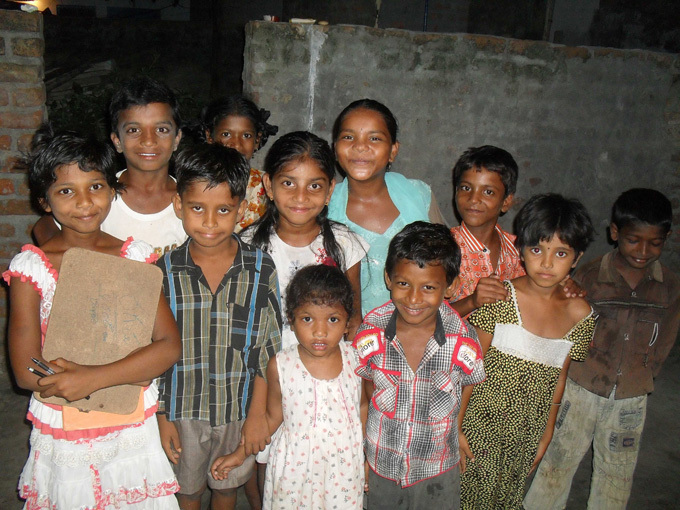 Banjaras and Non- Banjaras in the locality hold Bhima Nayak Katta (platform) inhigh esteem. Since residue (ORE) from the womb of Sevabhaya's Mother is buried below this Katta (burying ORE under the ground is the tradition of Banjaras, after child's birth). 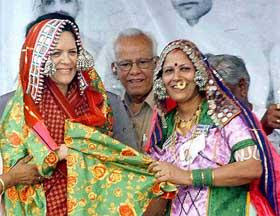 Therefore Banjara people hold this Katta with high reverence. Shri Bhima Nayak (father of Sevabhaya Ji) delivered his judgements to Banjaras of his and neighboring Tandas from this Katta. There is a piece of land of 18 acres, next to dilapidated Ramji Nayak Tanda and the same is shown in revenue records as NAYAKUNI BHOOMI (Land of Nayak). After lot of research works and explorations by many research scholars, linguists, historians, particularly by Banjara Dharmik Parishad of Bangalore, as well as found from Banjara folk songs and folk lores sung and oral histoy as told by Banjara, for the last 200 years, in narration and in praise of Sevabhaya's life and deeds. It is mentioned that GOOTY-BELLARY MA JANMO SEVABHAYA (meaning: Sevabhaya was born at GOOTY-BELLARY). Gooty Taluka was in the then Bellary District of then Madras Province of British Raj. During that period there was no separate District called Anantapur - as the Anantpur town was part of Bellary District. It is abundantly clear and proved that Sevabhaya's Birth Place is identified to this location, in Peddadoddi Revenue Village. It is also mentioned in the book "Sevadas Leelamrut", authered by Sant Shree Ramrao Maharaj of Pohragad (Sevabhaya's Samadhi Place), Gooty-Bellary as birth place of Sevabhaya. Sant Shri Ramrao ji Maharaj is living saint of seventh generation of Shri Sevabhaya's family. Even well known auther, poet and Banjara folk Singer Shri Atmaram Rathod of Yevatmal District (Maharashtra) has also established the same location in his popular book "Shree Sant Sevadas Leela Charitra" as Sevabhaya's Birth place. After identifying this birth place, first time, Banjaras of Country celebrated Sevabhaya's 262nd Janmotsav, at this holy land on 15.02.2001 and sanctified it and named this land as "SEVAGAD", at the hands of Shri Ranjit Naik, President of All India Banjara Seva Sangh (AIBSS). Address of Sevagad Asthan: Sevagad, Near Charlopalli, Via: Gollala Doddi Crossing, On Gooti - Guntakal Road, Mandal/Taluka: Gooty, District: Anantpur, Andhra Pradesh. 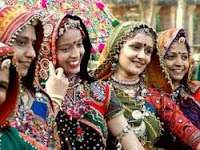 The Banjara are a class of usually described as nomadic people from the Indian state of Rajasthan, North-West Gujarat, and Western Madhya Pradesh and Eastern Sindh province of pre-independence Pakistan. They are also known as Banjari, Pindari, Bangala, Banjori, Banjuri, Brinjari, Lamani, Lamadi, Lambani, Labhani, Lambara, Lavani, Lemadi, Lumadale, Labhani Muka, Goola, Gurmarti, Gormati, Kora, Sugali, Sukali, Tanda, Vanjari, Vanzara, and Wanji. Together with the Domba, they are sometimes called the "gypsies of India". They are divided in two tribes, Maturia, and Labana.